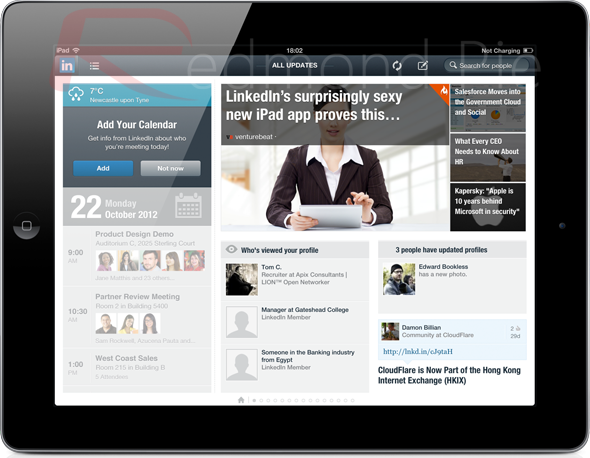 The developers over at LinkedIn Corporation have finally got their iPad appreciation hats on and pushed out an update to the professional network app, bringing full universal support along with a Retina-enabled user interface for Apple’s third-generation iPad. The LinkedIn app had previously only been available as a native iPhone or iPod touch app, but version 5.0 should appease those business professionals who have been craving for a little bit more. The LinkedIn app provides registered members the ability to find and connect with individuals who may be in their professional circles, consisting of over 150 million people across the globe. The business-based social networking site, founded in 2002 is a breeding ground for business activity and is frequented by those who wish to make professional and corporate connections with others who may share similar business interests. The visitation to the web-based version of LinkedIn’s service has been growing steadily from year to year, with the demand for an iPad app higher than ever. 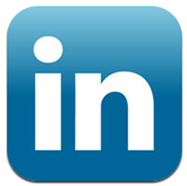 The LinkedIn app is now a universal download, meaning that it is available on the iPhone, iPod touch and iPad family of devices. 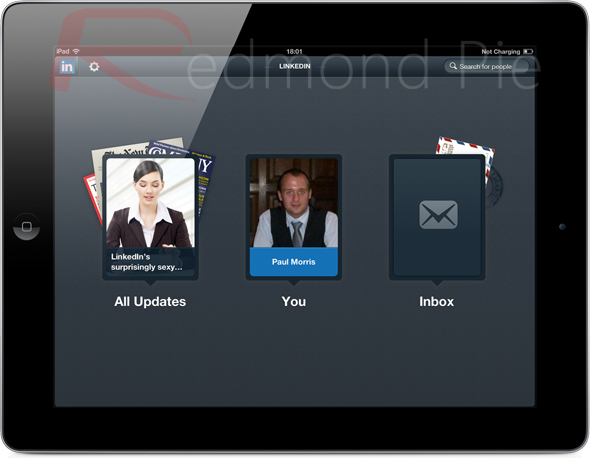 The user-interface of the iPad version has been optimized for the Retina display. The developers have added a new calendar feature that provides profile information for the people users may be meeting up with. The updates view of the app has been redesigned in the hope that it brings the ability to stay up -to-date with connections, industry news and groups. 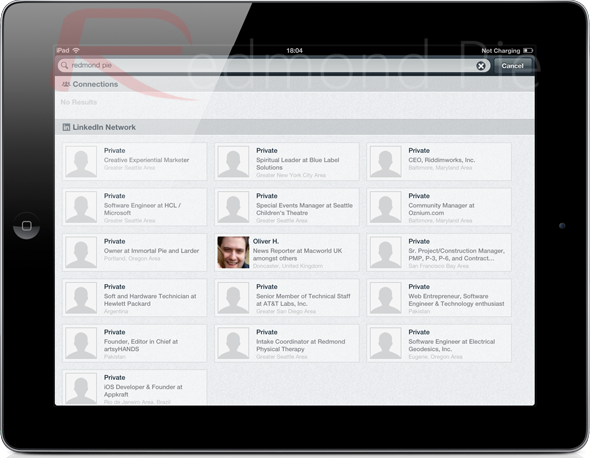 After logging in, the first noticeable thing about the new iPad version of LinkedIn is the simplicity of the main view controller. Three large pop-over holders that emanate from labels provide the main navigation controls for the app, allowing users to choose between viewing all updates, visiting their own LinkedIn profile or checking their inbox for messages and connection requests. The rest of the main view user-interface is dedicated to a settings button as well as the obligatory search bar to allow users to search for people. The app itself is extremely easy to use with information being located exactly where you would expect. However, the relatively attractive and simple UI simply doesn’t detract from the fact that the app is extremely slow in load times and refreshing data, and at times during my testing the app bordered on the usable. If you are a regular LinkedIn user, then maybe the iPad version will appeal to you, but let’s hope we see an update sooner rather than later to rectify these few issues.